Reach your customers on-the-go to increase conversions. Mobile PPC advertising is just as important as regular search, if not more. on their PC or desktop computer to make a search. In fact, more searches happen on Google Mobile compared to desktop computers. No matter what your goals with your PPC, mobile is just as important and regular search to reach your audience. Research shows since 2014 over 90% of your customers move between devices to search, shop or accomplish a goal. So having mobile PPC campaigns is more important than ever before. Google Mobile PPC Ads can help you achieve your performance marketing objectives to win new customers, grow leads and get more conversions to your business. Google Mobile Ads can also help you with your branding goals. 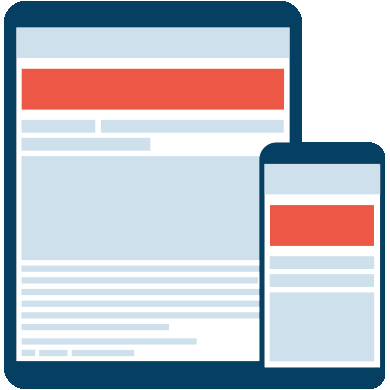 We ensure all of your mobile traffic is going to a mobile optimized landing page. Testing multiple ad formats on mobile. The wide variety of advertising and ad formats available on mobile devices means you can show ads to many different users in many different areas. We work on strategic bid adjustments for mobile devices. We ensure that the proper mobile image ads and sizes are created for your campaigns and mobile remarketing campaigns. Created 100+ new PPC campaigns. Relaxus is a wholesale and retail supplier of assorted health and wellness products. Titan PPC helped to optimize some existing PPC cmapaigns to further improve the ROI. We completely restructured several of the campaigns and immediately saw improvements in quality score, resulting in lower cost per clicks and a more optimized campaign. This resulted in more targeted traffic and more sales through their online channels. Check out some of the landing pages we've optimized for mobile devices using unbounce.com.